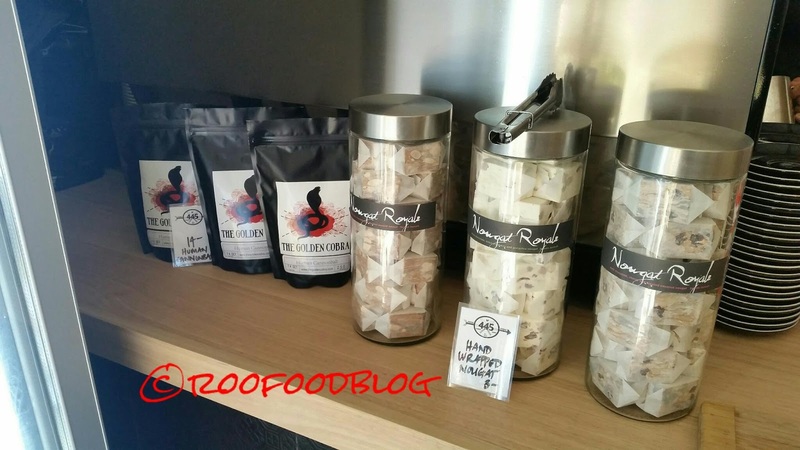 It is a Stevensons Fine Foods and Nougat Royale collaboration! 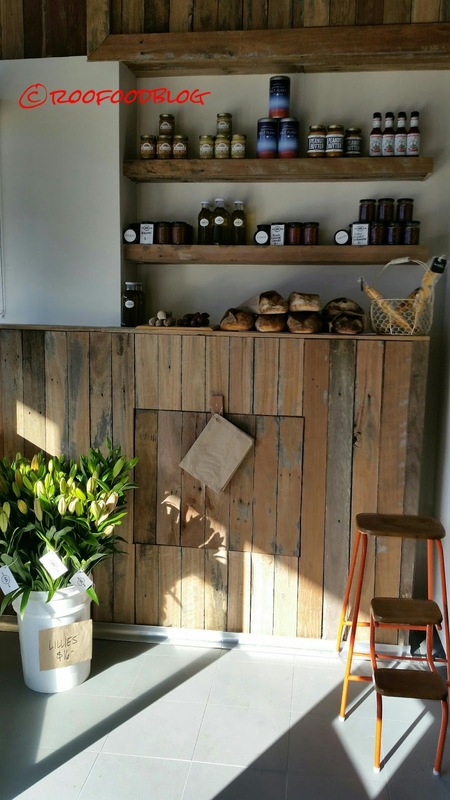 Meg and Ben have spent months planning this new venture and 445 Food Store made its debut opening in Bexley last weekend. 445 Food Store is a gourmet store/café and is very welcomed to this stretch of Forest Rd, offering locals something new and exciting. A place where you can pop in for a coffee, a sweet snack or a meal and grab some delicious gourmet meals to take home. I was eager to try it out and my eagerness found me to be their first customer of the day (right on opening time). The space is airy, sunny and bright, comforting and rustic with blond wooden benches and stools running the length of a wall and the window overlooking the footpath. 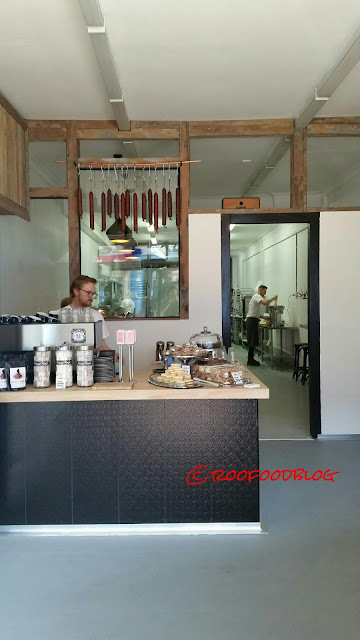 The shelves are laden with house made chutneys, sauces and jams, fresh loaves of bread and boards of Backa salamis and sausage. The fridge is full of gourmet take home meals, pies, cheese and olives. 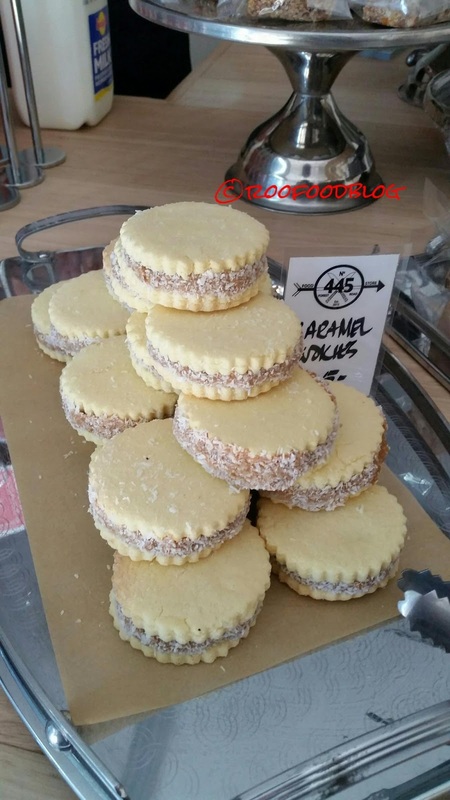 Many goodies are supplied by local market owners (particularly Ramsgate Foodies Market, where you will find Stevensons Fine Foods each Saturday) along with other house made creations. An open doorway invites you into the kitchen and to a large communal dining table. Ben and Meg and the team are busy in the kitchen preparing for their first day. 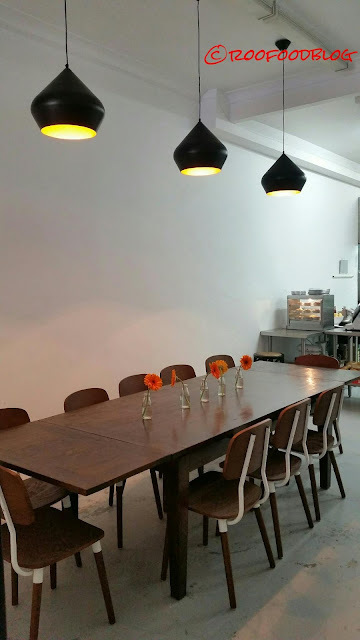 I really like this space as you can feel the buzz of the kitchen and other diners. I take a seat at a comfy stool at the window bench, so that I can soak up the warmth of the sun and the bustle of a Saturday in Bexley’s main street. I start with a much needed coffee. 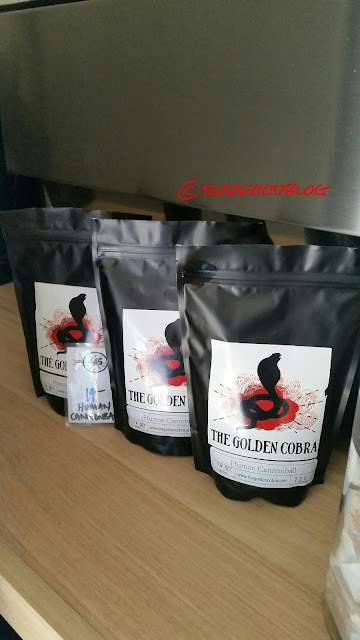 The Golden Cobra beans are roasted in nearby Marrickville by the head roaster who is also 445 Food Stores barista. 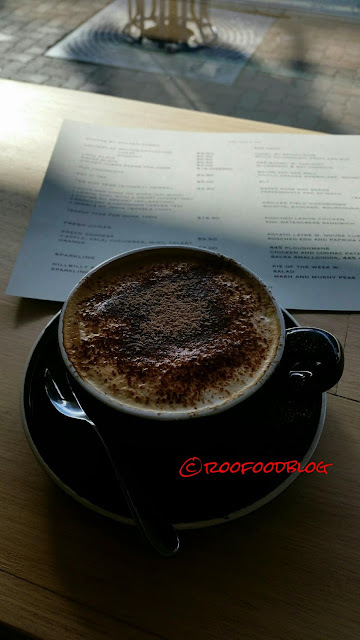 The menu may not seem extensive but on closer inspection they offer something a little more. They are on point. Fresh eggs and bacon, house made muesli, homemade pies (Meg’s are so delicious!!!) amongst other breakfast delights you can’t go wrong. 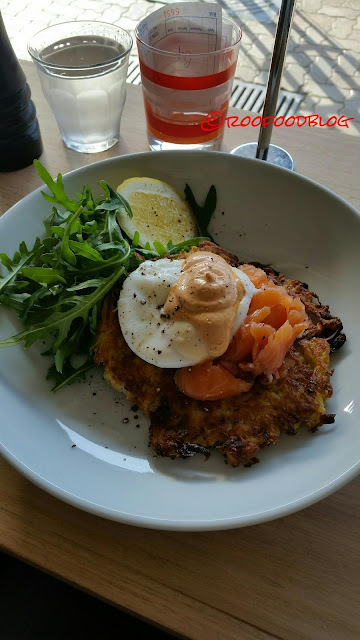 The potato latkes with house cured salmon, poached eggs and paprika aioli is my choice for breakfast. A large crispy potato latke with a generous serve of cured salmon, a gooey poached egg and a big dollop of aioli, served with rocket and a wedge of lemon. It is the perfect breakfast dish. Ben made the house cured salmon the day before. It’s fresh, slightly salty and so great on top of the crispy rosti and a gooey poached egg yolk that oozes over the top. It is always a winner in my books. On the counter there are freshly baked caramel cookies, cakes, nougat and coffee to go. Grabbing another coffee to take away my thoughts are already drifting to when I can have breakfast here again! Welcome to the neighbourhood 445 Food Store. I wish Meg and Ben the greatest success in their new venture! I've been a patron of Megan's pies at the Ramsgate Markets for ages. Great to see a storefront so close to home !